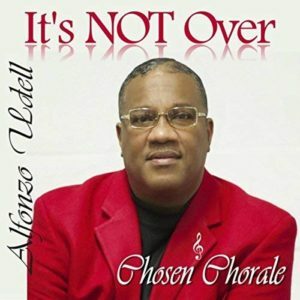 What could have been a routine-sounding project by a small gospel ensemble, It’s Not Over by Bishop Alfonzo Udell & Chosen Chorale has two things in particular going for it: the quality of its songs and outstanding lead vocalists. Brooklyn-born but now based in Columbia, South Carolina, where he pastors High Times Fellowship, Udell wrote all ten of the selections on the album. 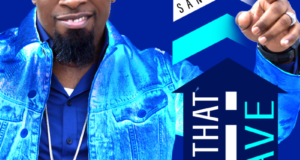 The songs reference classic contemporary gospel in both lyric and feel. The mantra “keep the faith” recurs on the album, as do other messages of encouragement in the face of life’s trials. Further, praise songs such as “There’s a Brighter Day” and “I’m Glad About It” take their titles and language from the traditional gospel lexicon. For lead vocalists, Udell wisely passes the microphone to several members of his Chosen Chorale. Lorraine Anderson is to the Chosen Chorale what Mosie Burks is to the Mississippi Mass Choir: the go-to traditional vocalist. Anderson shines in particular on the pewburner “I’ll Make It” and the traditional-contemporary mashup “God Has a Miracle,” the first part of which is her solo sans chorale. 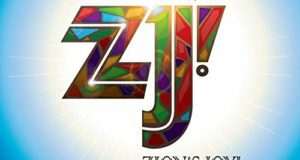 Another notable soloist is JoAnn Udell, whose even-tempered but energetic voice evokes contemporary gospel vocalists of the 1970s. 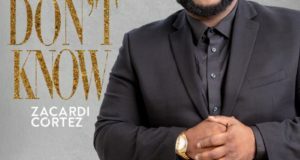 Although the album was recorded live in 2015 at Columbia’s Faith, Hope & Charity Church (and re-recorded in the studio in 2018), the live audience is imperceptible. Hearing the congregation interact with the group would have made the album even better. It’s Not Over is a fooler: an independent project with plenty of gems for music ministers to teach to their own groups and choirs. And if she doesn’t already have one, Lorraine Anderson deserves a solo album of her own.